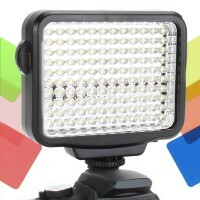 Every videographer knows how important light is and how you can almost never have enough. For those of you who don't have the luxury of studio lighting and want to be able to capture life where it is lived, there is the VidBRIGHT brand of lighting solutions. 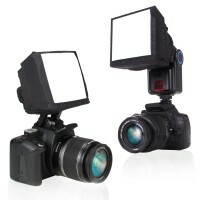 VidBRIGHT offers phenomenal lighting for videographers on-the-go, with affordable lighting solutions that compare to lights often used for interviews in studios. The VidBRIGHT brand is the guerilla videographer's best bet for getting the perfect shots. The night is dark and full of -- light, at least if you use our NIGHTLUX brand of lighting products. We have solutions for camping, cycling and just about anywhere you want to drive the darkness back a bit during our nocturnal hours. Some of our NIGHTLUX products offer light even without a battery, allowing you to hand-crank and generate your own power when needed -- never worry about searching for a battery again. When you need light, reach for NIGHTLUX brand lighting products. 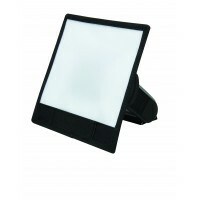 The NIGHTLUX BLM uses CREE LED lights with multiple setting options. Choose between two flash settings and two brightness settings to fit your needs. The BLM also shines with 115 lumens in a 180 degree field of view so you can see everything in front of you as you ride! The power button lights up blue to indicate the BLM has full battery power and changes to red when the batteries need to be replaced. Durable and versatile, this outdoor friendly lantern offers 360 degrees of area filling light. The lantern is equipped with 12 bright LED lights and 95 lumens that will never leave you in the dark. 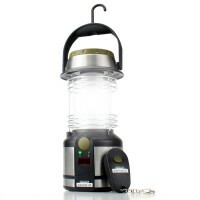 The lantern operates using three AA batteries (NOT included) and has a runtime of up to 10 hours. 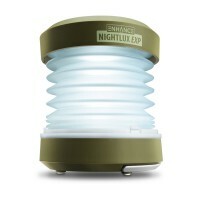 A simple twist release system under the lantern allows for easy battery replacement. Are you tired of navigating your way around hallways at night? With the FLH night light you no longer have to worry! With its detachable flashlight design all you have to do is remove the lamp from the charging base and carry it with you. It's perfect to use as a nightlight or in emergency situations where a simple flashlight is needed. Bright LED's illuminate surrounding areas to help you see at night or when the lights are off. Its lightweight build makes it easy to bring with you wherever you go. Some might look at our TrueSHOT line and see nothing but camera straps and diffusers or other camera-focused accessories -- however, we suggest you take a closer look. We wanted to offer accessories that went the extra mile, so if you look closely, you'll see lots of additional features. We're always trying to think of that extra feature that will truly make our TrueSHOT line shine. Looking for an easy way to get higher quality pictures? The reflective-lined interior enhances your flash and spreads it out through the diffuser cloth, providing you with strong, even lighting! This helps to eliminate harsh reflections and fills in shadows to bring maximum exposure to your pictures. The natural lighting effect is perfect for shooting professional-looking portraits, close ups and more! As all photographers know, the subject of your photo is the most important thing. Getting the perfect lighting for your next shot is everything. 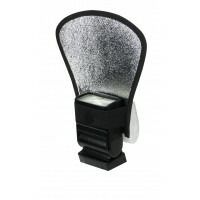 The TrueSHOT Flash bounce diffuser comes with two different color sides. The white side is the perfect diffuser to use in brighter settings, casting a soft, smooth light for great looking photos. Need some more light? 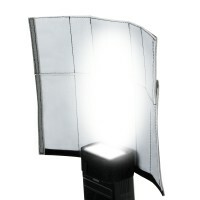 No problem, flip the reflector around and you have a silver reflector. This side is perfect in low light situations where extra light is needed. 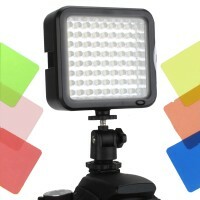 It helps increase the range on your shots and produces more spectral highlights. The diffuser panel reduces shadows that eliminate the annoying "red-eye effect." This bounce flash diffuser is the perfect camera accessory for your speedlite (on camera or off camera). Designed with a translucent, reflective material, the diffuser provides the perfect amount of light for any situation. The soft fabric material gives it a light weight feel and lets you bend it into virtually any shape. 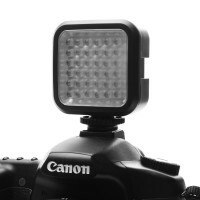 The diffuser comes with an attached elastic strap that helps secure it to most speedlites and cameras. Its portable construction is perfect for taking with you on your next photo shoot or vacation so you'll always be able to capture your next shot in any setting.